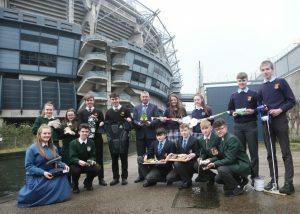 The Student Enterprise Programme National Final 2019 takes place on Friday 3rd May in Croke Park in Dublin. Business reports need to be submitted by the deadline in order the enter the Final. Remember they should be no more than 20 single sided or 10 double sided pages in length and the deadline for receipt is Monday 8th April 2019. The report MUST be accompanied by the entry pack, as supplied to teachers. 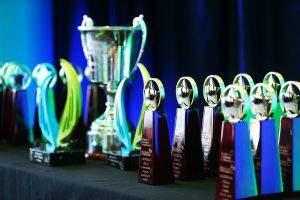 The Student Enterprise Programme is delighted to announce that we will once again be awarding three prizes in the area of Intellectual Property at the National SEP Final on Friday 3rd May 2019 in Croke Park, Dublin. The awards are kindly sponsored by The Irish Patents Office (www.patentsoffice.ie) and are open only to students that make the National Final stage of the Programme. The Student Enterprise Programme is delighted to announce that we will once again be awarding three prizes in the area of social media at the National SEP Final on Friday 3rd May 2019 in Croke Park, Dublin. The awards are kindly sponsored by Essential French, Cork (www.essentialfrench.ie) and are open to all students nationwide taking part in the SEP 18/19, not just those who make the National Final. Ireland’s largest second level business programme for students, the Student Enterprise Programme, an initiative of the Local Enterprise Offices, was launched today by Pat Breen, T.D., Minister for Trade, Employment, Business, EU Digital Single Market and Data Protection. The enterprise education initiative, funded by the Government of Ireland through Enterprise Ireland and delivered by the 31 Local Enterprise Offices in local authorities throughout the country, saw over 26,000 students from 512 secondary schools across the country take part in 2018. The programme supports students to create, design and market their own business, all with the hope of reaching the National Finals in Croke Park on May 3rd. Minister Breen was joined at the launch by professional rugby star, Josh Van Der Flier, the 2018/2019 ambassador for the Student Enterprise Programme. Today’s launch took place in Van Der Flier’s former school, Wesley College in Dundrum, where the flanker took part in the Local Enterprise Office’s student enterprise programme when he was a student. Speaking to some of the students involved in this year’s programme at the event, Minister Breen emphasised the importance of instilling entrepreneurship in future business leaders. “It is imperative that we try to give the next generation of entrepreneurs a real understanding and passion for how businesses work. We need creative young minds coming through who want to create their own businesses in the future and create jobs in Ireland. “The Local Enterprise Offices do a fantastic job in fostering this entrepreneurial spirit in secondary level schools with the Student Enterprise Programme. Year on year the ideas and businesses are remarkable and belie the ages of many of the participants. The best of luck to every student taking part this year and while they will all want to win, the knowledge and experience they will gain on the journey will be invaluable to them in years ahead,” Minister Breen said. The three winning businesses from 2018 had their products at the launch in Wesley College; Complete Caman from Presentation Secondary School, Castleisland, Kerry who won the Junior Award, Lift Arm Assist from CBS Kilkenny who won the Intermediate category and Abbey Bread from Cistercian College Roscrea, who won the Senior category. Abbey Bread, the Senior winner, was a simple bread mix created by Cistercian College Roscrea student Manus Heenan from a 100-year-old Cistercian monks recipe. Lift Arm Assist, winners of the Intermediate category in 2018, was developed by three students from Kilkenny and is a hydraulic arm that replaces the lift arm stabiliser on the back of a tractor. The Complete Caman, developed by five teenage girls from Kerry is a specialised designed hurl that allows people of all ages or abilities to train themselves in hurling. Since the Student Enterprise Programme began in 2003 over 175,000 students have taken part, learning key skills on how to create a business idea, start a business and grow a business. The Student Enterprise Programme also has a new website for 2018 / 2019 at www.StudentEnterprise.ie, which will feature regular blogs and houses a full range of Student Enterprise resources for students and teachers. Others who attended today’s launch were Chris Woods, Principal of Wesley College, Brian Delany, Business Studies teacher at Wesley College, Mariea Mulally of Local Enterprise Office Dun Laoghaire Rathdown and Carl Cullen of ROC Protection who won the Student Enterprise Programme in 2017. Last year’s Senior Category was won by ‘ROC Protection’ from Clonkeen College in Dún Laoghaire-Rathdown, with a protective base layer for hurling and camogie players.